The third edition of Urban Talks was held in Timisoara on September 28th. 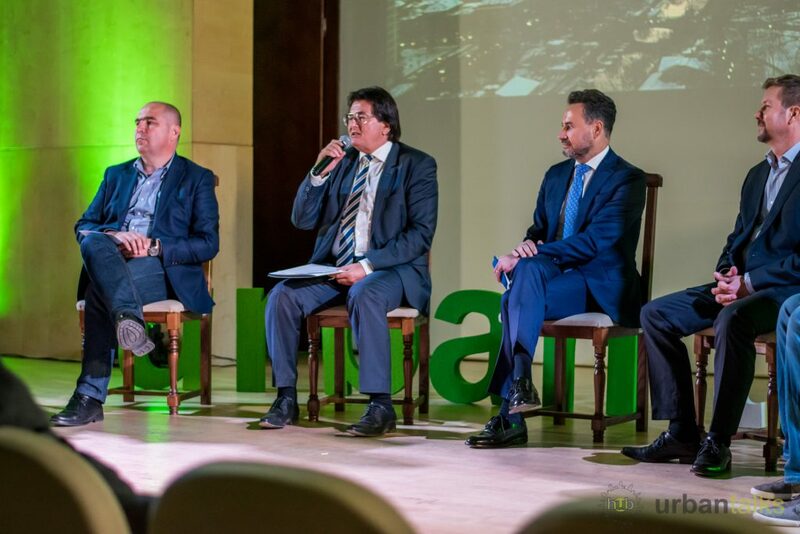 The day was filled with inspiring talks from local and international speakers and ended with a major announcement by the mayors of four major cities in the West of Romania, who revealed that they would start a regional collaboration project called the “Western Alliance”, involving the cities of Timisoara, Arad, Oradea and Cluj-Napoca, which would lead to faster development both within the cities as well as in the region. 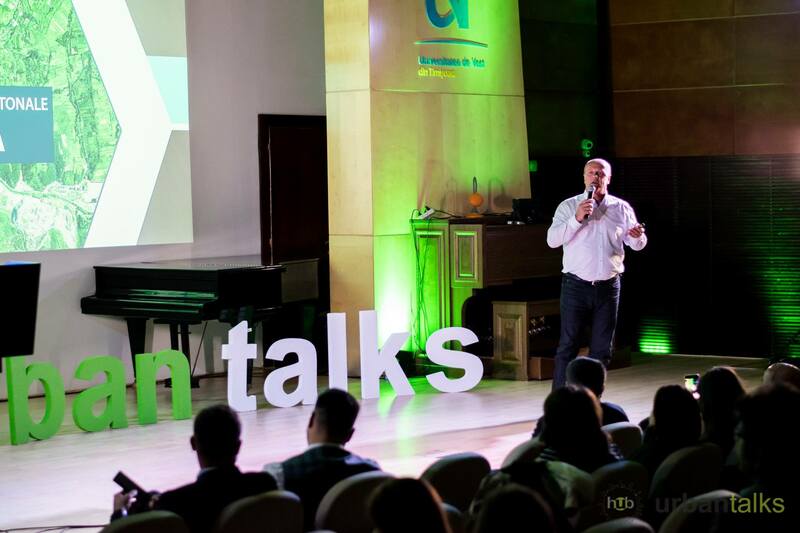 Karl McFaul (Sweden), a strategist, entrepreneur and lecturer in urban futures and platform economics who has devoted his life to societal innovation, discussed the topics of innovation and competitiveness for cities. He explained that innovation in our world can’t really be managed, but rather navigated, as it always happens on the fringe. Karl also described the ways in which the world is changing, with new technologies leading to new business models, organisations, skills, social contracts and mobility. 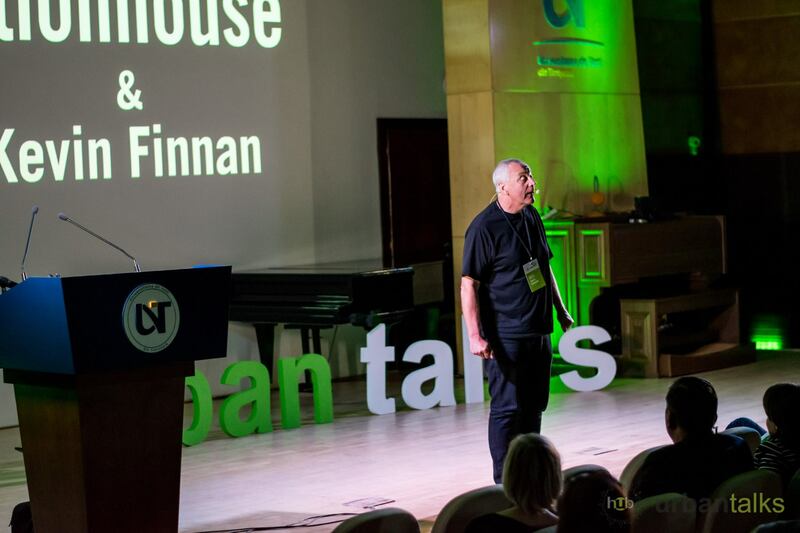 Kevin Finnan (UK) spoke about “Creative projects for creative cities” – he is an artist and coreographer who creates large-scale performances and international touring theatre works. He described his work as “the process of making thought visible” and creating a shared experience of a performance, involving both the artists and the audience. 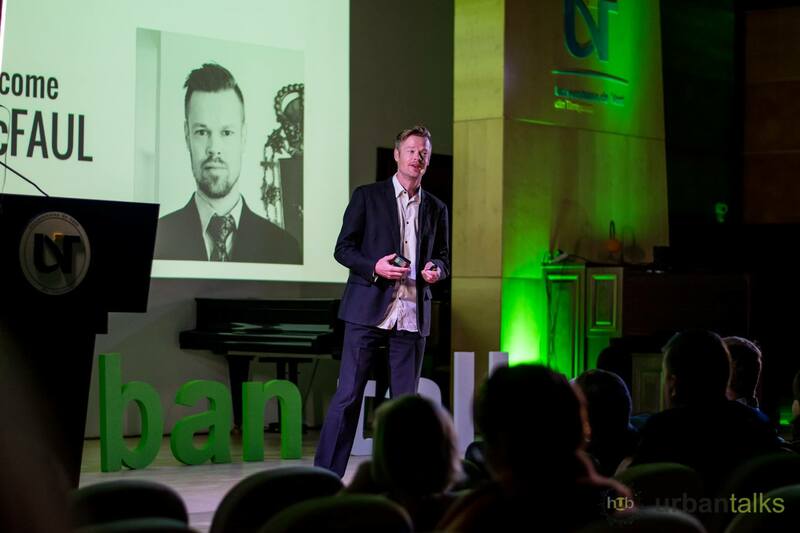 Kevin spoke about the LUMEN project he developed on the Bega River in Timisoara, which aimed to bring together the local community and revive the city river through music, video-mapping and performance. 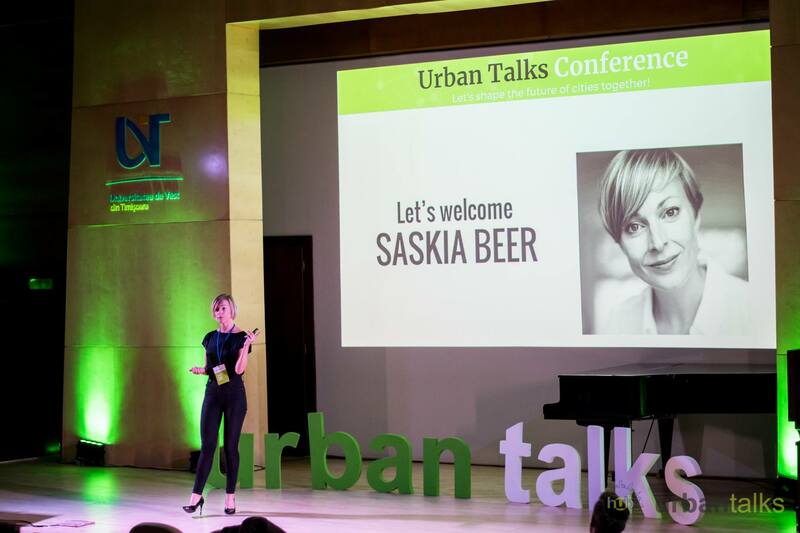 Saskia Beer (Netherlands) joined Urban Talks for the second time after her first talk in Cluj in May 2018. She took the audience through her experience of transforming the lifeless Amstel3 area of Amsterdam into a creative and spirited neighborhood, using unconventional methods and no public funds assistance from local authorities, but instead relying on voluntary contributions from the community itself. 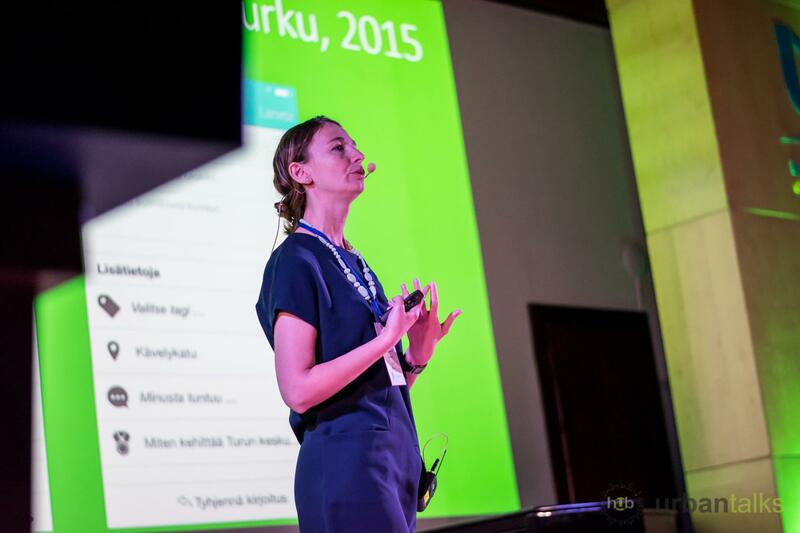 Titi Ertiö (Finland), who is a geographer turned economic sociologist who researches digital civic engagement, talked about user-centred and open innovation to address urban challenges, and how the public and private sectors and citizens can interact in order to design solutions. She gave some examples of digital tools like apps that were used in cities and led to more public engagement in the city’s issues. 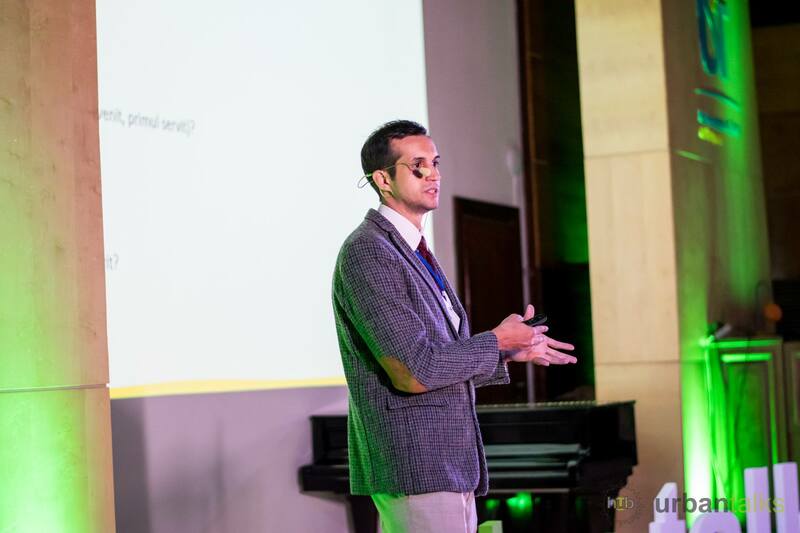 Radu Jakab presented his project Zero Cozi, a solution for a more efficient public administration. The app lets citizens reserve a specific time when they want to go to a public institution for various reasons, whether it’s to obtain a document or pay a tax. This way, they no longer have to waste time waiting in line, as the app tells them exactly how many people are ahead of them and when they can expect to be served. 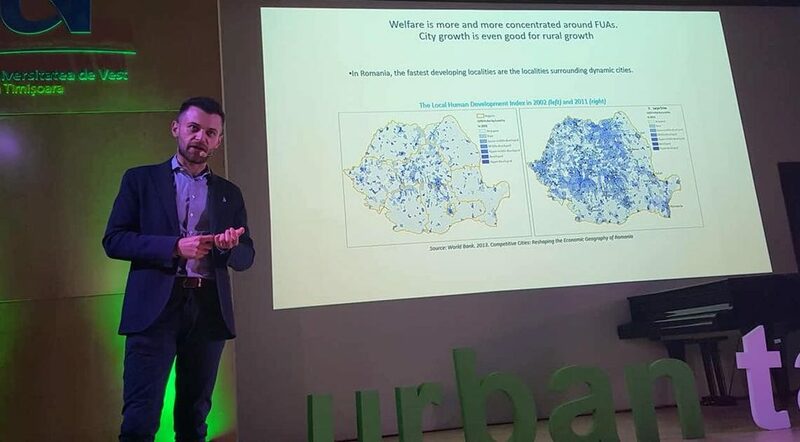 Marius Cristea (World Bank) talked about magnet cities, migration and community in Romania and the effects of these phenomena on urban development. Marius noted that Romania’s history is primarily rural and that villages have a symbolic role in our culture, but that this has not had a positive effect on the country’s economy. 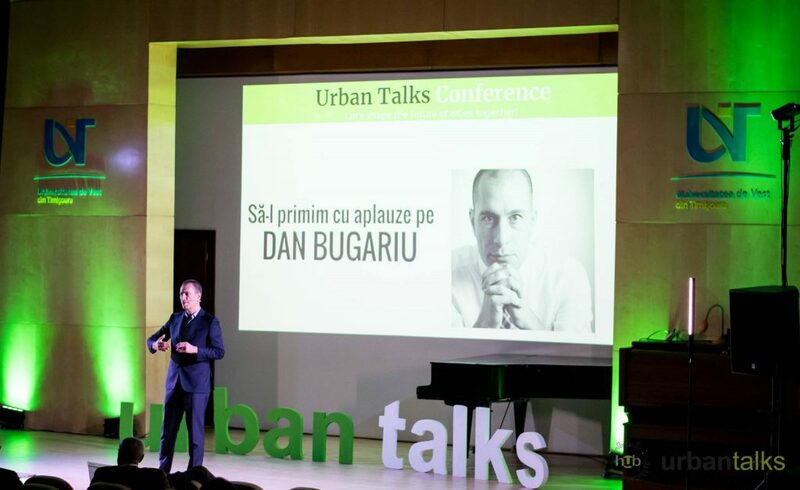 Dan Bugariu talked about Upgrade My City, a programme that identifies, promotes and implements ideas that can improve quality of life in cities, through the large-scale involvement of civil society, companies, universities and public administration. 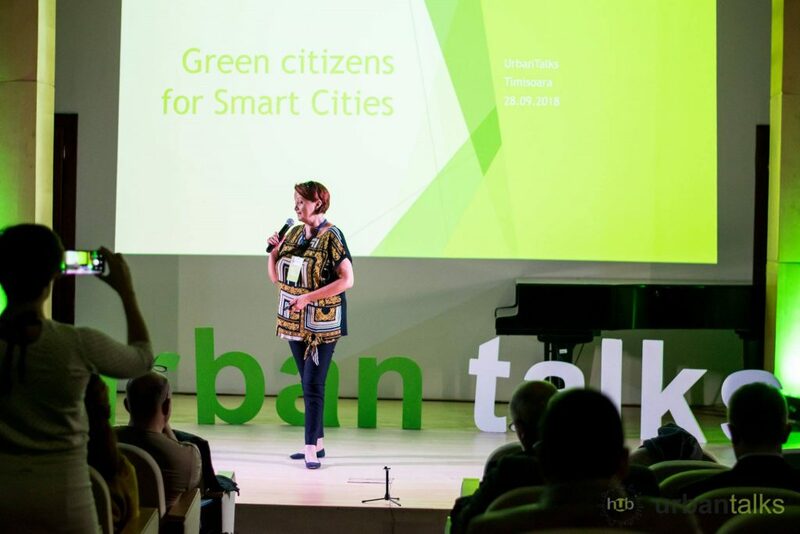 Andreea Idriceanu Calev, Communication Manager at RoRec, spoke about the importance of education in the process of moving towards more sustainable and healthier cities, as young children have to learn how to protect the environment and how to handle waste, including electronic waste. 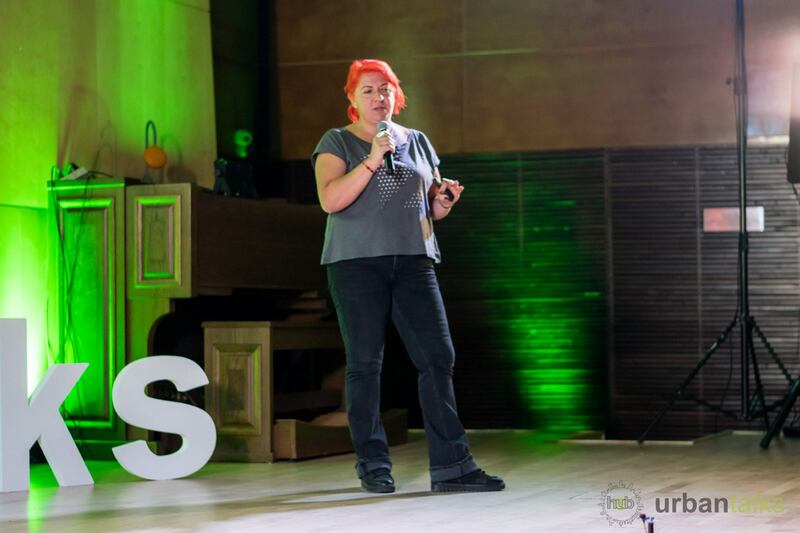 Oana Giurgiu, the Executive Director of the Transylvania International Film Festival (TIFF), talked about the festival’s role in the local community in Cluj-Napoca, the projects that are developed in locally during the festival and the social impact of all the cultural activity on the city and its people. Ioan Popa, the Mayor of the city of Resita in South-West Romania, was the surprise speaker at the conference and came to tell us his story and how he turned from businessman to mayor. He also presented a few of the projects the Resita City Hall was working on in order to bring new life to the city. Mayors’ Roundtable: The mayors of Arad, Timisoara and Oradea (Gheorghe Falca, Nicolae Robu and Ilie Bolojan) unveiled their new project: an alliance between their cities, as well as with Cluj-Napoca, which would allow local administrations to work on large-scale projects that would have a significant impact on the entire western region of Romania.